The Mini Dry Fog system provides an easy-to-use, high technology solution for confined-space fogging. The combination of our highly effective Minncare Cold Sterilant chemical and our state-of-the-art Dry Fog Delivery System enables users to rapidly and safely deliver Minncare vapour to even the most complex areas. Its sanitary and autoclavable design permit its use in the most critical areas within pharmaceutical and other industries concerned with maintaining the utmost levels of sterility. The flexibility of the Mini Dry Fog nozzle allows for rapid vapour dispersion and ensures that the entire space is exposed to dry fog. Mini Dry fog system delivers Minncare cold sterilant vapours of controlled and accurate droplet size ensuring penentration into normally inaccessible areas. It is portable and can be used in multiple locations. Single units can dispense upto 500ml of liquid Minncare cold sterilant solution. Mini Dry Fog System can complete a disinfection process in 3 hours ( room size & ventilation system efficiency dependent) as compared to many hours of some conventional disinfection systems. Another big reason for the wider coverage is, the size of droplets that are ejected out of Mini Dry Fog nozzle is as tiny as 7.5µ in diameter , it bounces off surfaces and moves at greater speed as well. Mini Dry fog uses MINNCARE®, a cold sterilant registered by EPA for use as a fog, which is fully biodegradable with no measurable air residues. Minncare Cold Sterilant is a peracetic acid and hydrogen peroxide based proprietary chemistry developed by Minntech for optimized biocidal efficacy. Minncare Cold Sterilant contains only pharmaceutical quality raw materials. The difference is the droplet size. Minncare Dry Fog system is designed to produce ultra fine drops that average 7.5 micron in diameter which will ensure even dispersion of the Minncare solution through out the room without wetting the surfaces. These fine droplets bounce off hard surfaces and thus avoid condensation, corrosion and surface wetting associated with conventional foggers. The ultra fine droplets are lighter and do not settle down hence covering even inaccessible areas for complete disinfection. 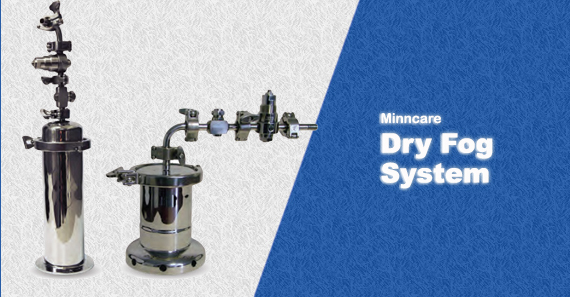 The Minncare Dry Fog system is amazingly flexible with options of 1, 2, 3 or 4 nozzles available. The whole system is mounted on a trolley so that taking it from one area to other is a breeze. 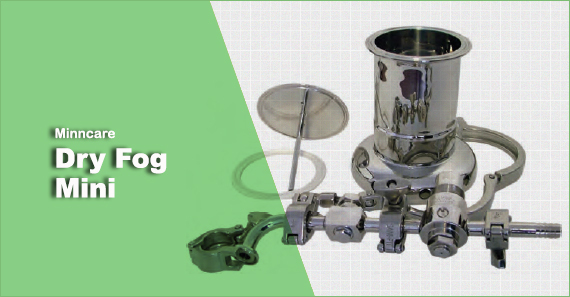 It can be easily disassembled due to the tri-clamp type clamping design. 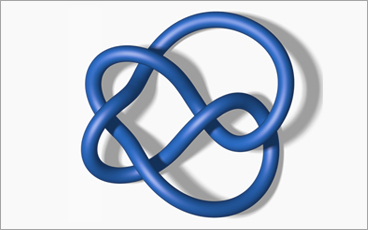 Since the complete system is autoclavable, cross contamination from area to area is eliminated. The use of very small quantity of disinfectant ( just 1.5 ml/m3 of Minncare) and lack of toxic aldehyde vapors results in extremely short process times - over 95% faster than some conventional systems. This means less production downtime and lower total costs. Typically, the entire process can be completed in less than 3 hours, depending upon room size and ventilation system efficiency, compared to up to 3-5 days with some conventional systems. The Minncare Dry fog systems uses one of the most safe and environmentally friendly biocide, Minncare. It contains no toxic aldehyde vapours or other harmful chemicals like Chlorine, Ammonia etc. Extensive toxicity studies have shown Minncare is safe for use in Pharmaceutical manufacturing areas. Post disinfection, it breaks down into acetic acid, water and oxygen which are bio-degradable. This makes use of Minncare Dry Fog system in your cleanrooms safe all the the employees. The Minncare Dry Fog machine provides an easy to use, high technology solution for rooms upto 1000m3 in one single process. It is robust in construction with easy maintenance and no moving parts and no electrical component.. It is made of SS 316L and hence easy to autoclave. 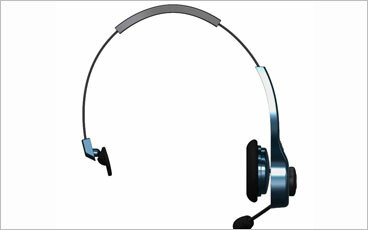 The portable design allows users to use it in multiple locations, if needed. A typical clean room disinfection process with Minncare Dry Fog system takes about 3 hours including venting. Note that this is with the ability of clubbing multipe rooms in one process upto 1000m3 total area. If you compare this with conventional foggers which requires individual room processes and with some disinfectants which takes hours to vent out, the users end up with substantial savings on time many times upto 95%. Minncare Dry fog cleanroom disinfection process is validated by the microbioligical method. The major advantage with Minncare Dry Fog system is that it does not require a specific microbiology method. You can use your process - be it, Plate exposure, Swabbing, or Biological Indicators. Irrespective of the methodology Dry Fog system will qualify with upto 6 log reduction of the bacterial count. Yes. Filfab offers actual working demonstration of Minncare Dry Fog system in your area of usage with micorbiological validation support from you. In this way you can see all the benefits before buying. Can I use this Dry Fog technology for smaller areas like airlocks, Passboxes etc?